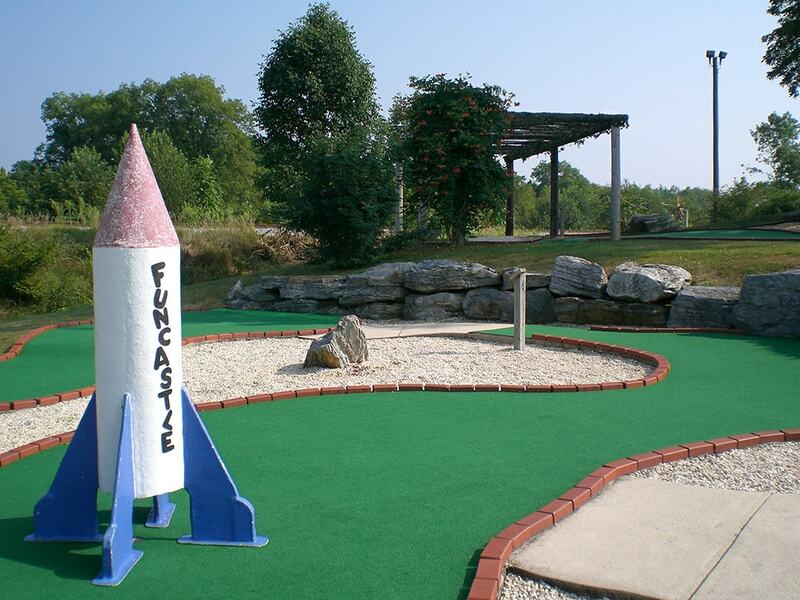 Fun Castle has a beautiful 18 hole miniature golf course in a charming garden type setting. 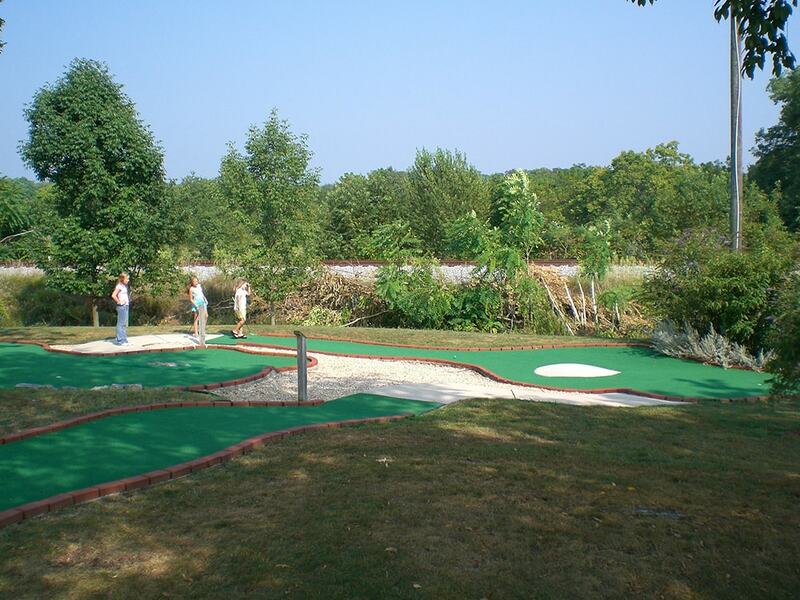 The putting surfaces are large with gentle slopes throughout the course to provide a challenging and entertaining experience. 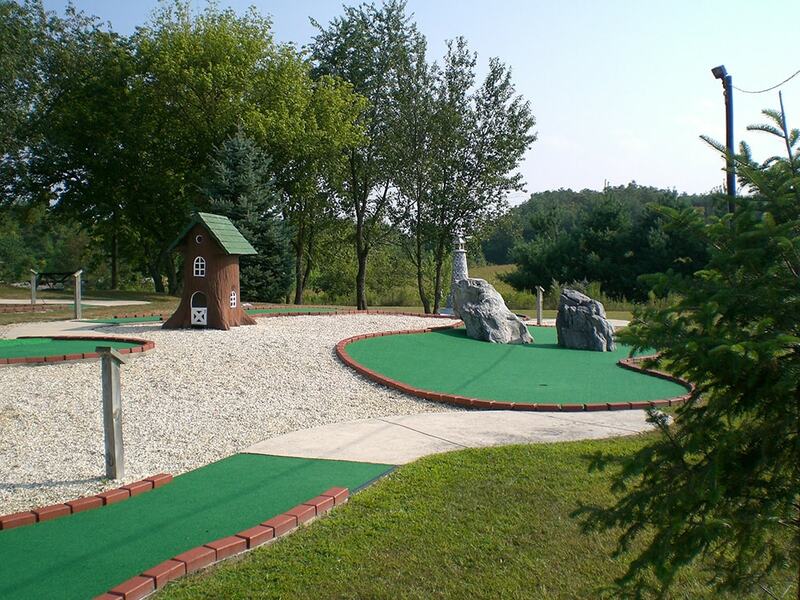 Our course is positioned on a terraced hillside with several large trees to provide shade while enjoying your golf game as well as benches placed on the course to just sit for a few moments and enjoy the day. Occasionally the railroad tracks nearby will have the passing train tooting its horn on the way down the tracks! Fun Castle has go-karts to satisfy everyone’s need for speed! 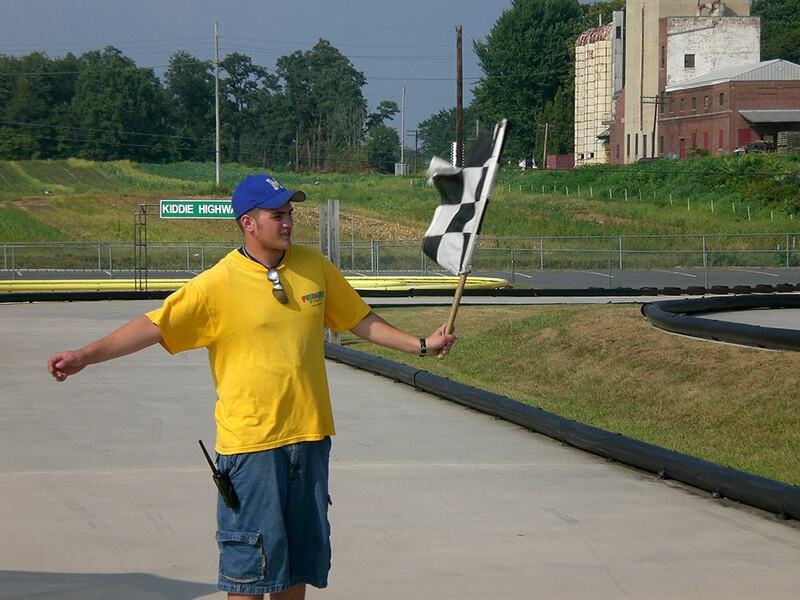 We have two great tracks with lots of turns that will thrill you and test your driving skills! Our tracks have stadium lighting for night driving! Our family track is over 1000 feet of smooth concrete, with flat and banked turns and over 20′ wide for passing your competitors. Our Naskart styled karts have full padded interiors for your comfort, with hydraulic brakes, full rollbars, and 6.5hp Honda engines. We also have several double-seater go-karts for those wishing to take a passenger for a thrilling ride. 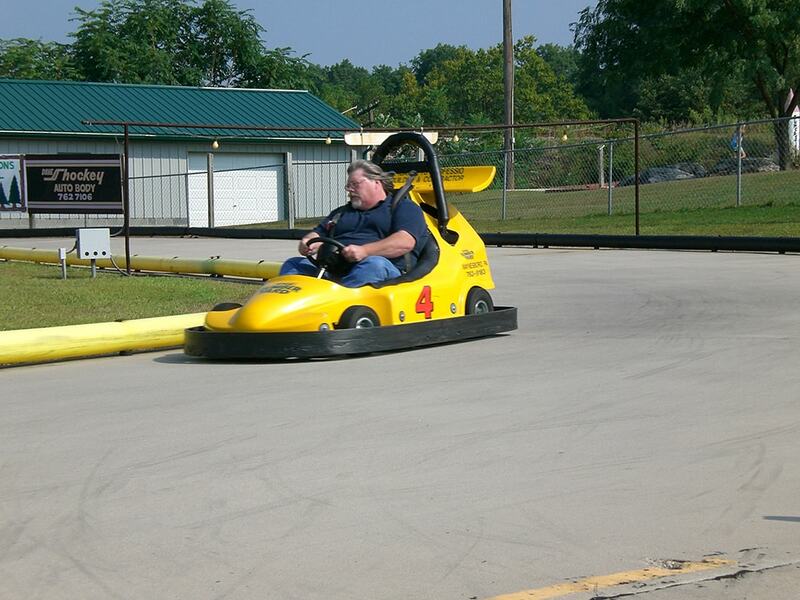 Naskart Requirements: Driver must be at least 10 years old and 56″ tall to drive a single seat go-kart. The double seat go-karts require the driver to be at least 16 years of age and posses a valid drivers license to drive a passenger. Passenger must be at least 3 years old and fit in the seatbelt safely. 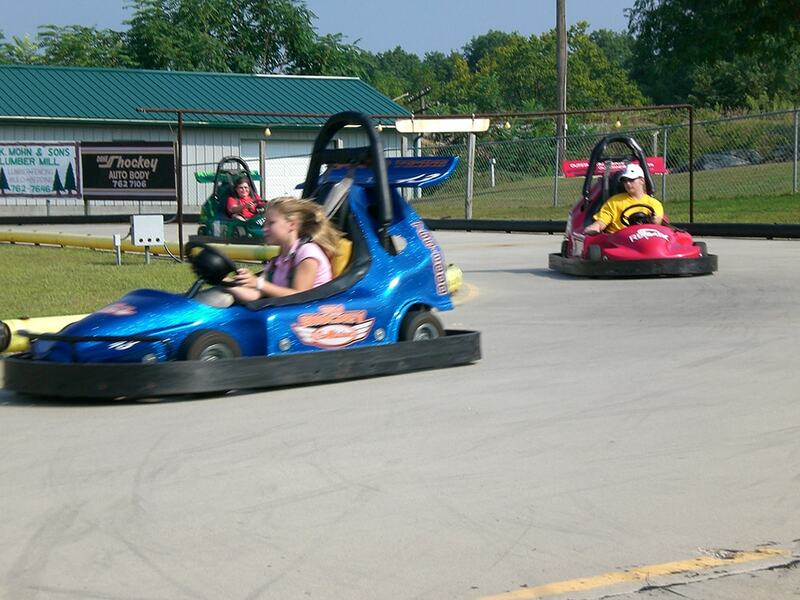 Our Kiddie go-kart track is over 300 feet of smooth concrete, with colorful guard rails and thrilling gentle turns for the young race car driver. Our kiddie-karts are smaller versions of the full size karts with separate gas and brake pedals so the younger folks can experience the feel of driving just like Mom and Dad. 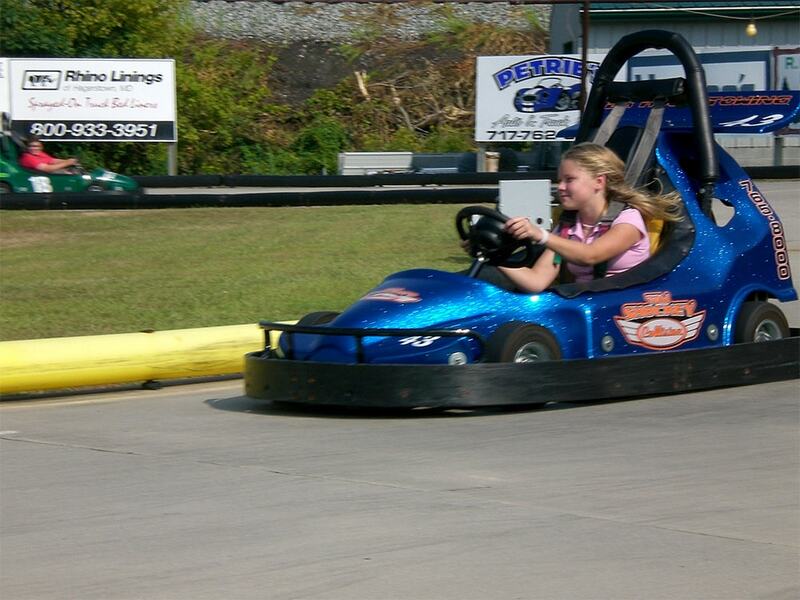 Kiddie-Kart Requirements: Driver must be at least 6 years old and 44″ tall to drive the kiddie karts. 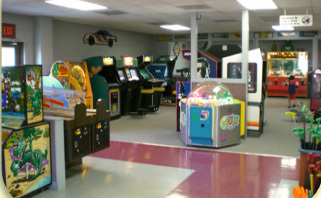 Fun Castle has a huge arcade packed with video games, skill games, redemption games, and a Kiddie-Play Zone. 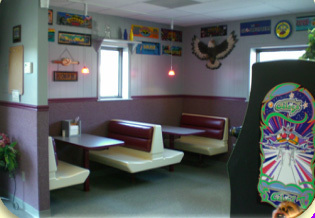 We have a large selection of vintage arcade games that will bring back lots of memories for Mom and Dad, too! 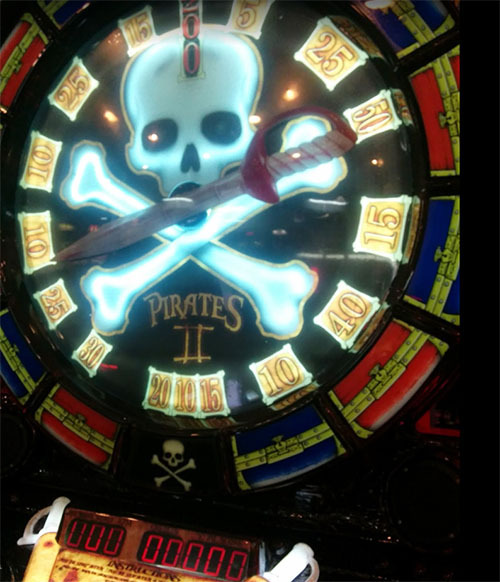 Our arcade redemption area offers a great selection of prizes to redeem all of those redemption tickets that you win! You can even redeem your tickets for free golf and go-kart rides! 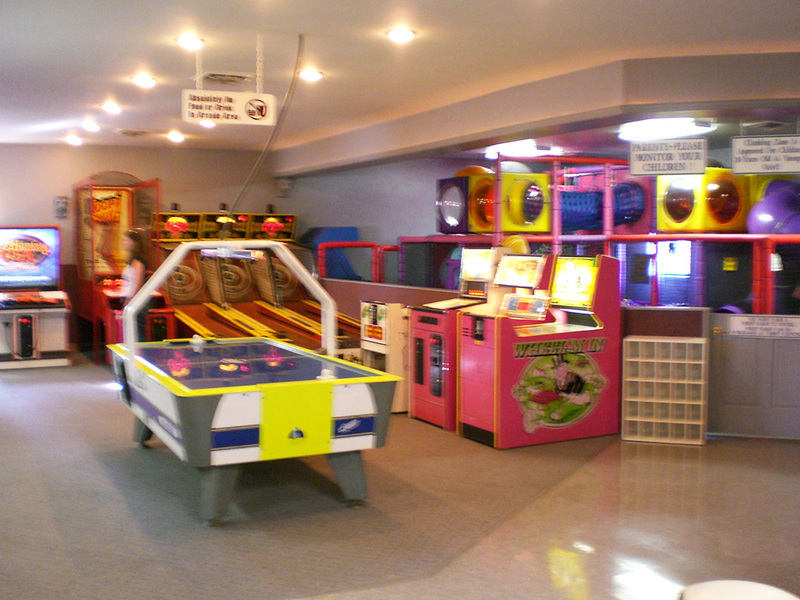 Our Kiddie-Play Zone is a great way to let the kids burn off some energy. It has lots of tunnels and tubes and two ball pit areas. Best of all, it is inside so the little ones can enjoy themselves rain or shine. Fun Castle has a great snack-bar with lots of good junk food! Great pizza, hot dogs, cheeze sticks, french-fries, Good Humor Ice Cream, soft pretzels, nachos, candy, chips, and Pepsi products. Yum-Yum! 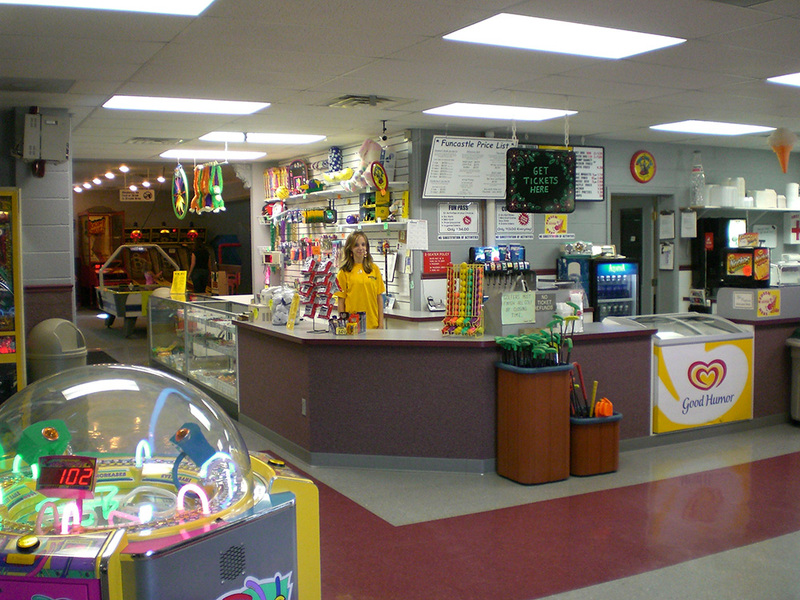 Our snack-bar has inside (air-conditioned) seating to provide you with a comfortable atmosphere. Fun Castle has Iron Mike pitching machines by Master Pitch. 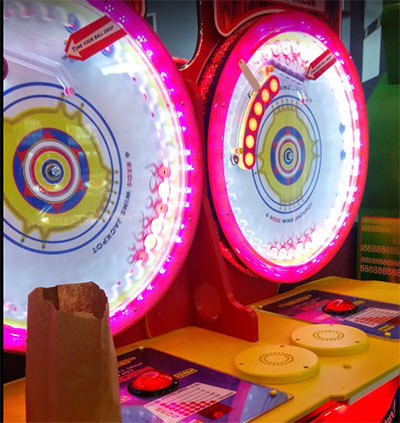 These machines are “arm type” machines that mimic the natural throw of a human and are the standard in the industry. 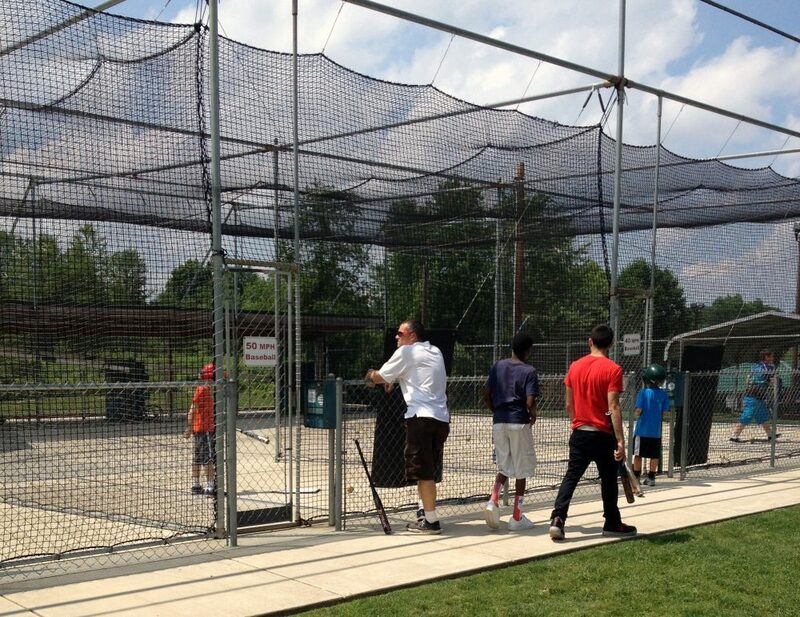 Batting cages are outdoors and are in use only during dry weather. We have 40 MPH, 50 MPH, and 65 MPH baseball cages and slow and fast pitch softball cages. NOTE: Using outdoor cages during wet or drizzly weather can cause the machines to pitch erratically.